If you’re still in the mindset that Lexus only makes large, ultra-comfortable grand-touring sedans, prepare to get educated. 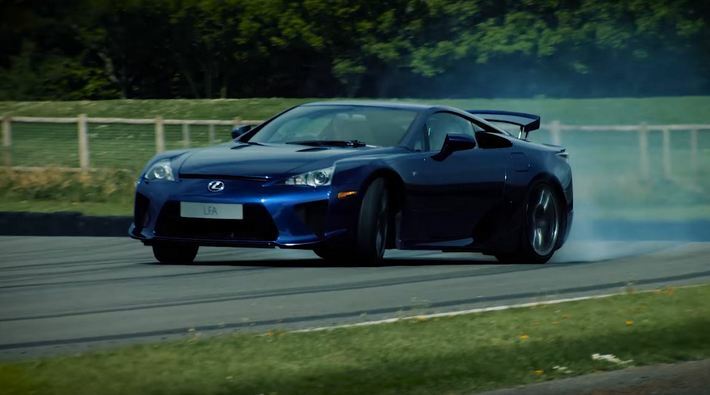 Ben Collins, former “The Stig” from Top Gear, thrashes the legendary Lexus LFA around Goodwood Circuit, complete with incredibly long, smokey drifts and plenty of high-revving exhaust sounds from the 4.8-liter V10 engine. The LFA is designed to go fast in the most efficient way, so for Collins to get the car sideways, it actually takes quite a bit of manhandling, as you’ll see from the large amounts of driver corrections. Taking a 180-degree turn from his previous mute character in a white driving suit, Collins goes on to review the more affordable RC F Carbon, and even takes his commuter car, a GS F, onto the track for a good ol’ thrashing. Watch the video to see what Collins thinks about each of Lexus’s F-model sports cars.